Please keep in mind that this blog site only provides infotainment. We respect each person’s right of choice. We urge each devout Muslim who is considering practicing daylight fasting during the month of Ramadan to please check with his or her personal physician and carefully weigh the individualized health care advice received from that health care professional before making any decision regarding personal fasting. Please enjoy this two-part series with a unique perspective on Ramadan. Beginning with either the physical sighting or calculated time of the first crescent of a new moon, Ramadan lasts for 29-30 days encompassing the ninth month of the Islamic lunar calendar. Ramadan is preceded by the month of Sha’aban and followed by the month of Shawwal. Since the Islamic lunar calendar is ~11 days shorter than the Gregorian calendar (used in the West), the exact time period on the Gregorian calendar for observance of Ramadan will shift every single year per Ramadan Facts published by the Council on Islamic-American Relations (CAIR). Ramadan is of great importance to all Muslims as the followers of Islam. 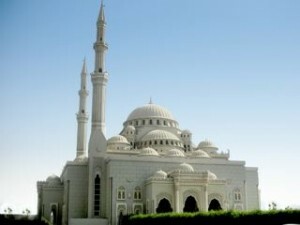 Throughout the world, Muslims observe Ramadan by fasting from sunrise to sunset, although there are total exemptions for children below the age of puberty, as well as those who are sick, elderly, mentally incapacitated, or not otherwise considered mentally and physically capable as noted in Ramadan Begins (The Practice of Fasting) from the Academy of Nutrition and Dietetics. Other persons may have temporary exemptions from dawn to dusk fasting such as menstruating women or females who are pregnant or breastfeeding, as well as travelers, however, missed days of fasting must then be made up later as each one of these individuals is able (in some situations acts of charity may be substituted). General guidance when it comes to food and nutrition matters during Ramadan is available from healthcare professionals. An example includes the Healthy Eating During Ramadan Survival Guide from the Muslims in Dietetics and Nutrition (MIDAN) member interest group (MIG) of the Academy of Nutrition and Dietetics (formerly the American Dietetic Association). Another example is Achieving Good Nutrition During Ramadan or Understanding Muslim Fasting Practices by Registered Dietitian Nour El-Zibdeh. Still another example comes from Communities in Action which has published a Ramadan health guide . During Ramadan, even foreigners who are not Muslims are required to fast from dawn to dusk in Saudi Arabia. This is true in other primarily Muslim faithful countries as well, which non-Muslims need to consider and plan accordingly for prior to traveling to such locations. It should be noted that in a number of instances, periodic fasting has also been included as a ritual among the practices of the faithful of other religions around the world. During Ramadan, the Islamic faithful also engage in intense worship, recite the Qur’an, and give to others through acts of charity (zakah or zakat which means giving alms from one’s wealth to those who are less fortunate). Fasting is a religious obligation of Islam as it was a practice of the Prophet Muhammad. Fasting during daylight hours of the month of Ramadan is the third of five “pillars” of Islam. The purpose of fasting is to learn self-control/self-restraint and discipline. Muslims can neither eat nor drink nor chew gum nor take oral medication during daylight hours of fasting (unless they are exempt). Muslims believe that fasting in this manner leads to a higher level of spirituality, which in turn means a faithful follower of Islam becomes closer to Allah (the Muslim God). A secondary purpose of fasting in this manner is to control hunger, which causes a faithful person to think about the needs of others who lack adequate food the rest of the year because they are poor. Faithful Muslims believe that Ramadan raises awareness of and highlights ideas/thoughts of healthy eating and a healthy life style as mentioned in Ramadan and fasting: An opportunity to improve health. Such a perspective is along the lines of “mindful eating” which is promoted in many cultures. Because of this heightened awareness of self and increased sense of spirituality, even those Muslims who may be exempt from participating in fasting during Ramadan may engage in it. Non-Muslims should be aware of the importance of Ramadan to all Muslims and demonstrate cultural sensitivity respecting the right of choice of Muslims to follow their faith regardless of where they live. There are a total of two Halal** meals which the Muslim faithful can consume during each 24 hour period during Ramadan. The first meal is called “suhoor” or “suhur” which translated from the Arabic means “pre-dawn meal” and thus would be eaten prior to sunrise. After suhur, Muslims fast during daylight hours until sunset after which the second meal known as “iftar” can be eaten to break the daytime fast. Thus the word “iftar” means “breakfast”. In winter months, the fasting period during daylight hours of Ramadan will be shorter than in the summer months when the daylight hours are longer. Afghanistan: Main dish (protein) is served with “naan”, an oven baked flat bread. Iftar is considered incomplete without naan. Bangladesh: Two famous dishes commonly served at iftar are “piyaji” and “begun”. Piyaji is a spiced lentil and onion fritter. Bejuni is slices of eggplant dipped in a gram flour batter and deep fat fried. Brunei: Iftar is referred to as “sungkai” and the breaking of the fast is observed at a restaurant buffet. China: “Paomo” is a bread and mutton soup which is consumed at the time of iftar. Egypt: “Fried kaftan” is a minced meat ball which is deep fried. Egyptian “Fattah” is a baked dish consisting of varied ingredients as bread, rice, sauce and meat. India: “Haleem” is served during iftar. Haleem is a spiced porridge prepared by using a slow cooking method. It consists of lentils, meat (either chicken or beef) and broken wheat. Indonesia: The dessert “kolak” is served during iftar. Kolak is made with palm sugar, coconut milk and pandan leaves. Iran: “Zolbia” and “Bamieh” are served together at the time of iftar. Zolbia is made of yogurt and starch which is then fried by being poured into oil to create long thin swirls. Bamieh is oval-shaped, deep fried dough. Both are dipped in honey or rose syrup. Jordan: Stuffed lamb is a traditional dish of Jordan, also served at iftar. “Mansaf” is lamb dish served with rice at iftar. Lebanon: “Fatayer” is a common dish usually eaten during Ramadan. This dish consists of pastry with a cheese filling. “Stuffed green chillies” locally called “Filfil Mahshi” (type of stuffed peppers) is also served at iftar. Malaysia: “Babur Lambuk” is the special stew served at iftar. It has varied ingredients including aromatic spices, herbs, meat, coconut milk, ghee and coconut oil. Morocco: “Chorba” is a famous traditional dish. It is a lamb stew made with tomatoes and chickpeas. A dessert, called “chabbakia” is also served at iftar. It is made of a fried dough flavored with orange blossom water and coated with sesame seeds and honey. Pakistan: Fruit salad, chickpeas, salad, “dahi baray” (made of lentil flour which is deep fat fried, then mixed into buffalo milk yogurt). Deep fat fried items are always part of iftar. Saudi Arabia: “Qataef” is often served at iftar. It is a type of Arabic pancake filled with sweet cheese and nuts. Singapore: “Kueh Lapis” is a layered glutinous steamed cake. The popular rainbow colored dessert is made from tapioca starch, coconut milk, pandan leaves and white sugar. Syria: “Shish Kebab” is served at the time of iftar. Turkey: Iftar is considered incomplete without Sherbet. Sherbets are made by combining fruit juices, extracts of flowers or herbs, water and white sugar. “Ramazan kebab” is a dish made with lamb, onions, yogurt and pita bread. Please see Part 2 of this blog series for details of Ramadan Dining Considerations to help maintain health during Ramadan. *Some links for best practice guidelines when working with persons with diabetes who wish to observe intermittent daylight fasting during Ramadan: One example is Diabetes and Ramadan (How to achieve a safer fast for Diabetics) by the Pakistan Academy of Family Physicians. Another example is Recommendations for Management of Diabetes During Ramadan Update 2010 as published by the American Diabetes Association (ADA). Still another example is Diabetes and Ramadan: how to achieve a safer fast for Muslims with diabetes by Mohammed M Hassanein MB CHB, FRCP, FRCP, MPhil, who also presented a webinar for the Johnson & Johnson Diabetes Institute in June 2014 titled Diabetes and Ramadan fasting; a challenge or an opportunity. Mohammed Hassanein is a member of the previously mentioned Diabetes and Ramadan (DAR) Forum whose members seek to raise awareness of potential increased health risk “for hypoglycemia, hyperglycemia and dehydration” for those persons with diabetes who choose to fast during Ramadan. **For information on Halal, please see a publication from the Institute of Food Technologists (IFT) titled The Kosher and Halal Food Laws (you can download a full pdf from the abstract link page) and/or a publication from the Islamic Food and Nutrition Council of America (IFANCA) Halal Foodservice Kit.